The Board of Immigration Appeals (BIA) is the highest administrative body for interpreting immigration laws. Although most of the Board's decisions are not for precedent, the Board periodically releases what are called precedent decisions. A precedent decision is binding on the Department of Homeland Security (DHS) and Immigration Judges, unless overturned by the Attorney General or federal court. In most of our articles, you will find many references to BIA precedent decisions. Because of the importance of BIA precedent decisions, we are committed to writing about them regularly. In fact, we now have articles discussing every BIA precedent decision issued in 2016 (through June 2, 2016). In this post, I will provide a list of recent BIA precedent decisions that we have covered here at myattorneyusa.com with a brief description of the BIA's holding and a link to our article for each case. If you are interested in a specific BIA decision, please use our website's search feature to see if we have discussed it in our growing collection of articles and blog posts about immigration law. 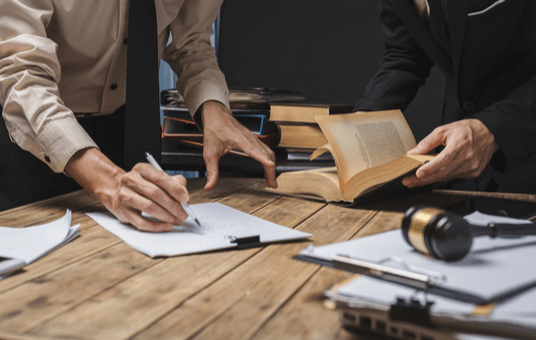 The Board held that it is inappropriate to apply the requirements in the Federal Rules of Evidence with respect to the admission of expert testimony to a respondent's testimony regarding events of which he or she has personal knowledge. Furthermore, the Board held that it may remand to a different Immigration Judge if the conduct of an Immigration Judge can be perceived as bullying or hostile. The Board held that 10 years of continuous physical presence required for special rule cancellation removal under NACARA [see article] should be measured from the alien's most recently incurred ground of removal (at least where the ground is listed in 8 C.F.R. 1240.66(c)(1), which references INA 212(a)(2) [see article]). The Board held that a term of confinement in a substance abuse treatment facility imposed as a condition of probation (under a Texas state statute) constitutes a “term of confinement” under INA 101(a)(48)(B) for purpose of determining if an offense is an immigration aggravated felony [see article] for a crime of violence under INA 101(a)(43)(F) [see section]. The Board held that for a state offense to qualify as a crime of violence under 18 U.S.C. 16, the state statute must require as an element the use, attempted use, or threatened use of physical force. The Board then held that a Puerto Rico statute for aggravated battery was not categorically a crime of violence under 18 U.S.C. 16 because it could be committed by means that do not involve the use of violent physical force. The Board held that Immigration Judges and the BIA have jurisdiction to determine whether an alien was eligible for a previous adjustment of status under INA 245A(b) for purposes of assessing an alien's removability and eligibility for relief from removal. It also held that an alien seeking to apply permanent residence through the legalization provisions of section INA 245A must establish admissibility at the time of the initial application for temporary residency and again when applying for adjustment of status to permanent resident status under INA 245A(b)(1). Finally, the Board held that an alien who was inadmissible when he or she adjusted status from temporary resident to permanent resident under INA 245(a)(b)(1) was not lawfully admitted for permanent residence. The Board held that an offense relating to failure to appear is an immigration aggravated felony under INA 101(a)(43)(Q) [see section] if a sentence of at least 5 years' imprisonment could have been imposed for the underlying offense (regardless of whether it was imposed). The Board held that the United States Citizenship and Immigration Services (USCIS) should accept sibling-to-sibling DNA test results reflecting a 99.5 percent degree of certainty or higher that a full sibling biological relationship exists, and that such evidence should be considered probative evidence of the sibling relationship. The Board held that when determining if an offense falls under the immigration aggravated felony provision found in INA 101(a)(43)(T) [see section], the categorical approach should be used to determine whether the offense was for failure to appear before a court, but the circumstance-specific approach should be used to determine if the underlying offense was for failure to appear under a court order to answer or dispose of a charge of felony for which a sentence of 2 years' imprisonment or more may be imposed. The Board held that within the jurisdiction of the Ninth Circuit,1 a permanent resident who has a felony conviction for solicitation to possess marijuana for sale is inadmissible under INA 212(a)(2)(A)(i)(I) [see article] as an alien who committed a crime of moral turpitude even though INA 212(a)(2)(A)(i)(I) refers only to attempt and conspiracy to commit a crime of moral turpitude. Please see our related article on the immigration aggravated felony for trafficking in controlled substances [see article]. The Matter of H. Estrada dealt with two distinct issues, so we broke the case into three articles (an introduction and one article covering each of the issues). Firstly, the Board held that when determining whether a conviction is for a crime of domestic violence under INA 237(a)(2)(E)(i), the circumstance-specific approach should be applied to determine the domestic nature of the offense [see article]. Secondly, the Board held that a clarification order issued by the sentencing judge to correct an obvious discrepancy in the original sentencing order should be given effect in determining whether a respondent was sentenced to a term of imprisonment of at least one year [see article]. See my blog about the vast extent of the jurisdiction of the Ninth Circuit.